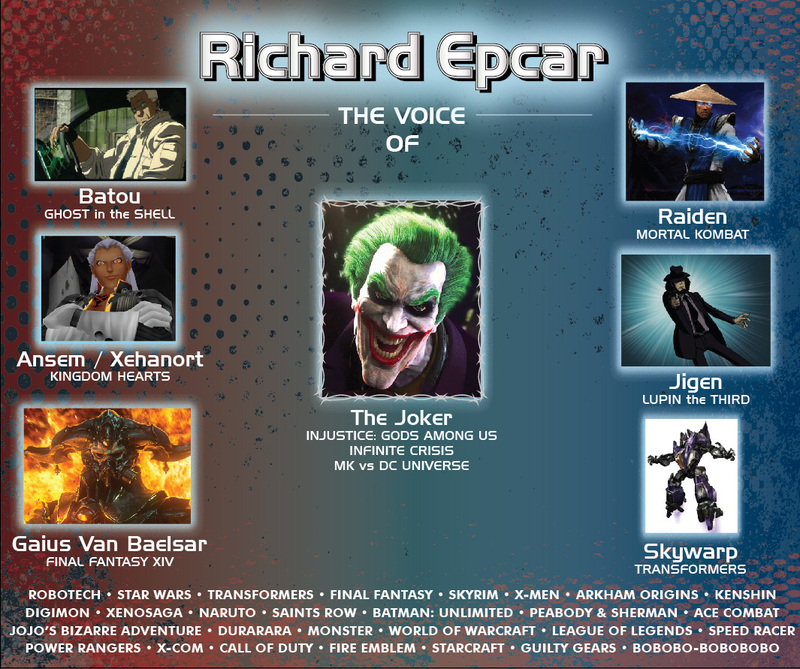 You’ve reached the website of RICHARD EPCAR, Actor, Voice Actor, Director and voice of THE JOKER, RAIDEN, BATOU, ANSEM and over 500 other characters! 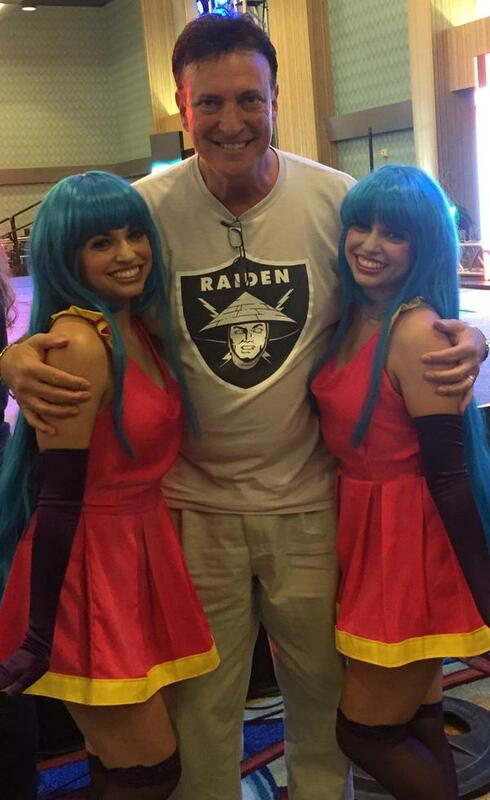 Here you can find Resumes, Demos, (Voice and on Camera), Agent and Contact Information, Upcoming Convention Appearances and a section on how to get an autograph! 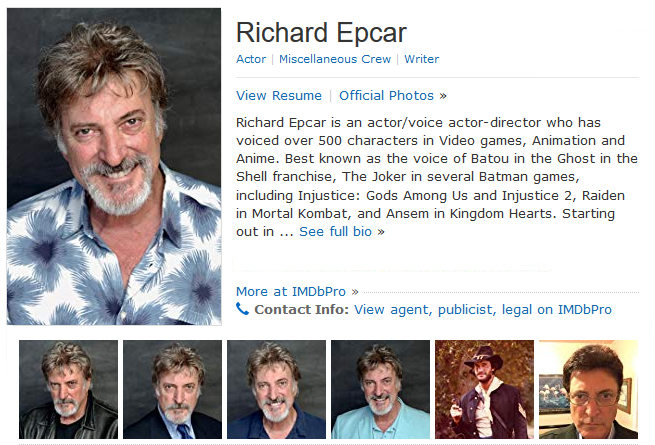 It’s your one stop shop for everything EPCAR!